Chill your white wines for optimal enjoyment with our innovative white wine chiller and liquor refresher. Our white wine chiller is perfect for cooling your wine when you donâ€™t the hours it takes to cool it in the refrigerator. 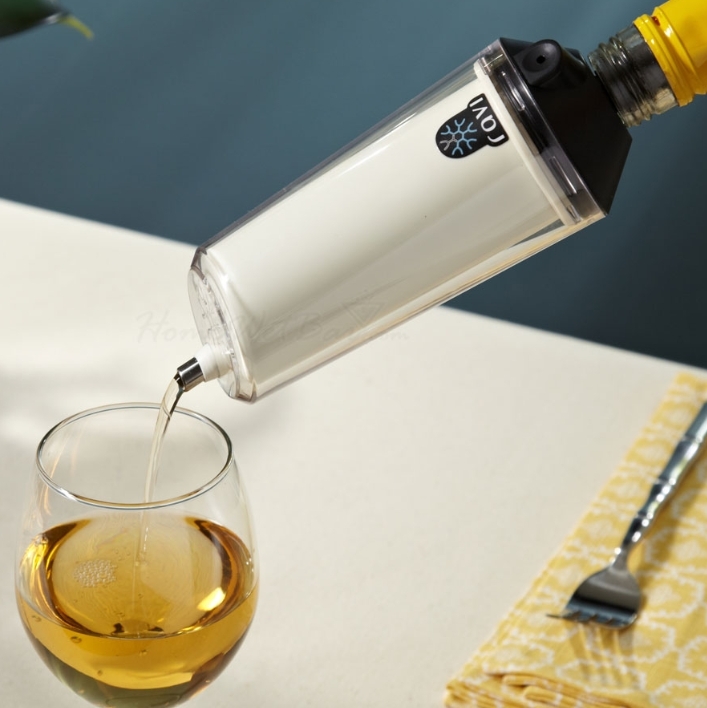 Not only is this great for white wines, but it can also chill other liquors like whiskey, vodka, and rum. In three easy steps you can have your white wines or liquors chilled to perfection, allowing a smoother taste and enhanced flavor of your spirits. Simply store the inner cartridge in the freezer until youâ€™re ready to use. Remove the inner cartridge from the freezer and insert it in the outer shell.